Every year, students attend field trips and after-school programs to SeaWorld, a corporation that argues that it has educated over 9 million students on the values of conservation, a corporation that claims that keeping intelligent beings in a concrete box for entertainment is educational, a corporation that boasts of its rescue programs and efforts in protecting marine life but has been fined multiple times for polluting Mission Bay. SeaWorld's assertion on the ever-important values of conservation and education is a hypocritical one. The company is largely responsible for the decline of the Southern Resident killer whale population due to horrific captures in the 70s. 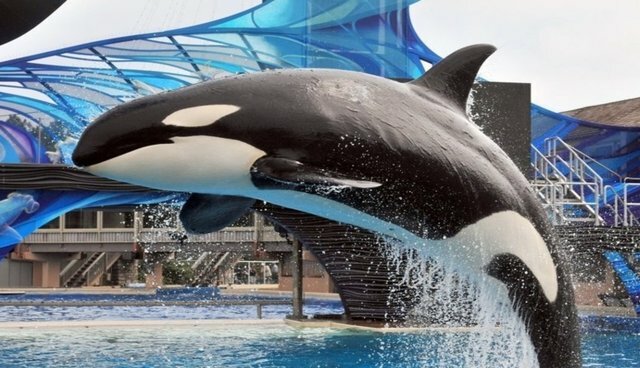 SeaWorld fails to take responsibility for this atrocity, and even misleads readers on its website, claiming that the cause of the endangered population's decline is unknown and that its research helps to figure this out. Furthermore, there is no education in the park about many important issues, such the massacring of dolphins across the globe: in Peru for shark bait, in the Solomon Islands, in the Faroe Islands, in the Amazon, and the most infamous in Taiji, Japan. Although they no longer take dolphins from the cove, SeaWorld has done absolutely nothing to end the slaughter when it, being a well-known theme park, could use its voice to call for aquariums to stop buying dolphins from Taiji. In fact, Dr. John Hall, a former Sea World biologist, states that Sea World representatives secretly promoted the Japanese dolphin drives in order to provide their parks with replacement animals before it was outlawed in the early 90s. Another almost laughable example of its failed attempts at education is the following quote on its website: "killer whale health starts with a safe, state-of-the-art habitat." Any student who has been taught even the simplest form of biology would know that a habitat is an organism's natural home or environment, which for orcas and all dolphins would be the ocean, not a concrete box. A bit ironic isn't it? Do we really want to take students to a place whose experts can't even use the term habitat correctly? Do we really want to teach students that it's okay to stand for something without backing it up (SeaWorld's rescue programs have nothing to do with captivity and function as a distraction to the issue)? Do we really want to teach students that it's okay to use cetaceans – who, according to bioneurologist Dr. Lori Marino, have better emotional and cognitive capabilities than our own – simply for entertainment? It's plain and simple: zoos are not educational. A study was recently published in which 62% out of 2800 students showed no indication of learning new facts about animals or environmental conservation at zoos. Furthermore, teachers here in San Diego argue that their students take no valuable lessons from SeaWorld. Elementary school teacher Liz Jacobelly stated at a school board meeting in May that when she brings a picture of an orca to her students and asks them to identify it, they say, "that's Shamu! He lives at SeaWorld!" "They do not even know the term 'orca,' or even where the animal's natural habitat is," Jacobelly said. "What SeaWorld taught me was that it was okay for any cetacean to live in a small tank. Students going on field trips to SeaWorld will observe unnatural, stereotypical and repetitive behaviors, such as swimming in small circles around in their tank or floating lifelessly at the bottom of the tank in a comatose state." Killer whales in captivity are not healthy, and according to the Center for Whale Research and the NOAA, live an average of 15 years in captivity compared to 30 for males and 50 for females in the wild. They are fed stress pills and benzodiazepine due to the immense toll of performing in front of a crowd and being confined in a pool that is 1400th the 80-100 miles orcas swim in the wild every day. The last time I checked, killer whales do not need drugs to be healthy in the wild. SeaWorld argues that the ocean is dangerous because of increasing levels of pollution and other anthropogenic causes. This is sadly true. However, that does not mean we need to lock up every single orca instead of solving the problem from the source. We should be advocating to stop these destructive acts instead of simply side-stepping the problem. Preventing a mess is better than cleaning it up. Students need to be aware of this to better protect the environment, but SeaWorld fails to send the message because although they say this is necessary, they fail to show it in each and every breath of the corporation. Students should not be taken to a place that displays such hypocrisy, dishonesty, and cruelty - the good does not atone the bad. It is time that we promote true education and conservation by taking students to observe animals in their natural habitats. It is time to remove school field trips and after school programs to SeaWorld.